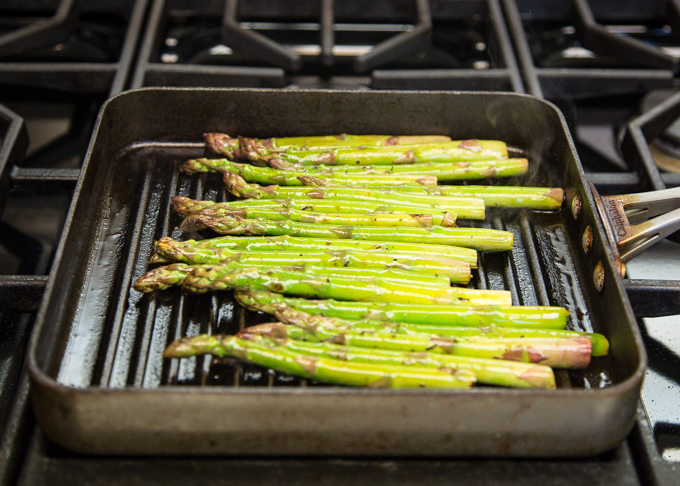 In my opinion, the only way to cook asparagus is to grill them. They are tender, but still slightly crisp, and the addition of lemon zest is perfect! And, you can do them right on your grill pan indoors. 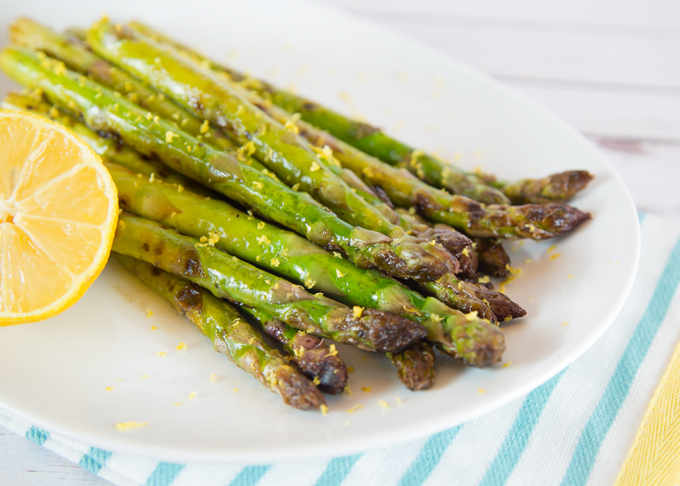 These Grilled Asparagus are the perfect addition to any spring or summer dinner. Rinse and trim stalky ends off of asparagus. Place trimmed asparagus into gallon size zip lock bag. Let marinade for 1 hour or more. Heat grill pan to medium. Cook asparagus, turning regularly, for approx. 10 minutes. Asparagus should be tender crisp. Place on platter and top with zest of one lemon. I’m visiting from the ‘Women with Intention’ link-up. Cathy, I hope you’ll come back for more inspiration. I cook up easy to prepare, family friendly recipes! 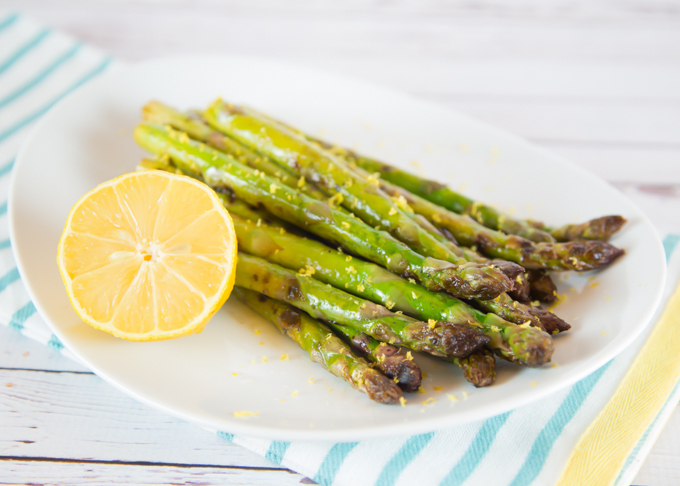 I love asparagus prepared like this – so simple and vibrant. Perfect for spring!